The Restaurant Don Camillo has had several changes in chefs over the past decade. Most recently, chef Stehpane Viano left to open his own restaurant. The restaurant is now run by chef Laville Marc who is one of those young, dynamic chef that seem to be starting up their own restaurants in Nice. Expect to see some very creative dishes including: seared foie gras served on slate; sweet breads served in a jar; and banana risotto For a view of all the dishes served in the winter of 2007 click below on the small menu. 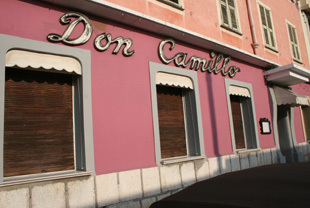 Don Camillo changes their menu according to the season. The restaurant is just a few block from the Nice outdoor market and chef Laville Marc cooks daily with the freshest ingredients. 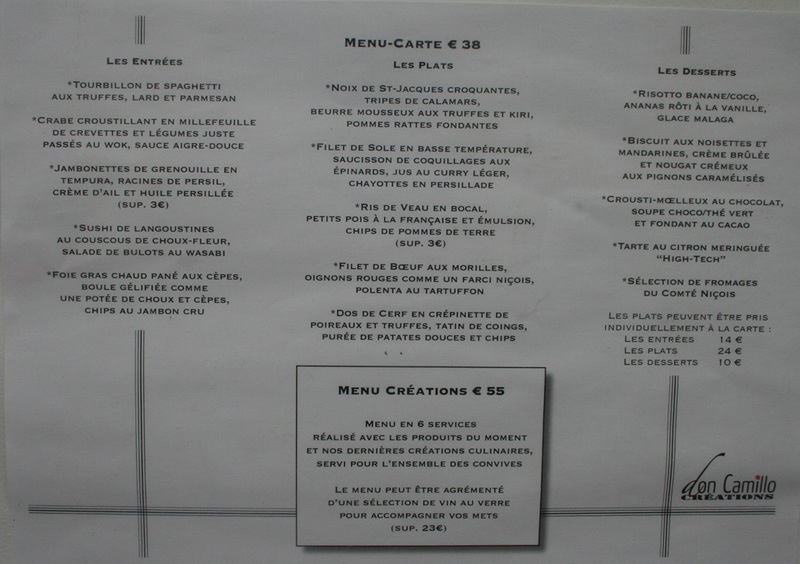 With a prix fix menu of 38 euros this is one of Nice's great values. In addition the restaurant has a very reasonable wine list.